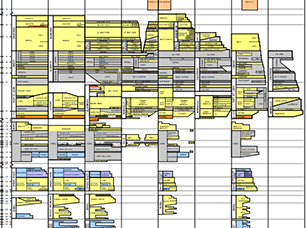 The 3D Provincial Geological Framework Model of Alberta v2 is published! You can download elements of the package or the entire model. Download now and print a 3D model! We now have four different models to choose from. Take a look over here. Did you know you can visualize and interact with our 3D models? Simply download a free tool and interact in a 3D space. For a step-by-step guide and more information see here. Have a look at Turtle Mountain over the year! The Mineral Core Research Facility (MCRF) contains more than 60,500 metres of mineral core, 12,500 metres of coal core, and 18,000 rock samples from various mineral exploration projects in Alberta. 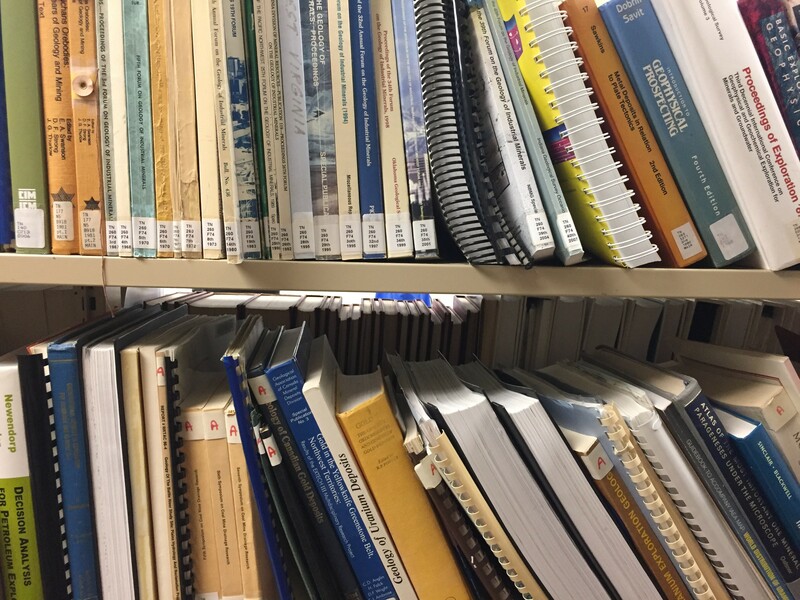 The collection is publicly available to prospectors, mineral exploration companies, and academia for mineral exploration and research purposes. 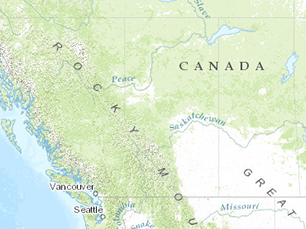 The Alberta Geological Survey publishes technical reports, maps, data, models, and more. Our Interactive Maps highlight some of the geology and earth resource data published by AGS, and enable you to download the data in spreadsheet, shapefile or KML format. 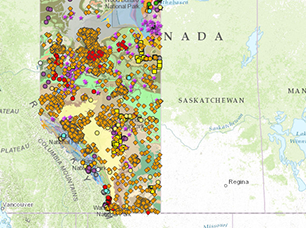 Our Open Data Portal provides access to data describing the geology of the province of Alberta by topic or location, and links to our interactive maps, reports, and featured projects. Over its history, AGS scientists have participated in a number of conferences and presentations on various geological topics for the province. The Alberta Table of Formations is routinely updated to reflect current scientific information.